At least 24 out of 52 wagons of a goods train were derailed at Kurkuria area of Panbari in Chandrapur near Guwahati on Friday. 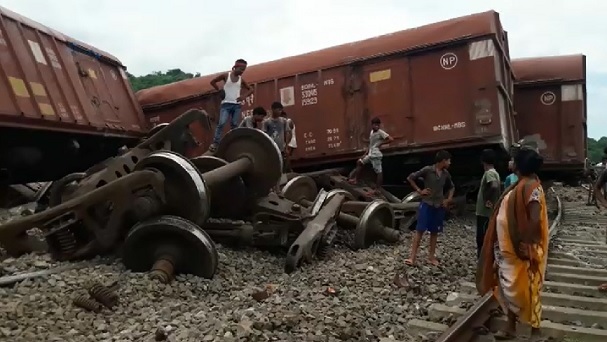 NF Railway sources told Northeast Now that the goods train was coming from Lumding to Guwahati. The accident took place at 11.20 am. The accident has disrupted rail communication betweenUpper and Lower Assam and Brahmaputra and Barak Valley besides neighbouring states of Manipur, Nagaland and Tripura. All passengers trains coming to and fro Barak Valley, Manipur and Tripura have been stopped at various stations. No casualty is reported so far.